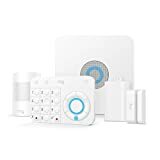 Will My Home Alarm Work With magicJack? Before you buy a security system, you should make sure that it can communicate to your security system provider in the time of trouble. Your alarm system needs to communicate to a security company in one of three ways. Using a VOIP is becoming a popular landline alternative as more homeowners forsake traditional phones for cell phones. When they need to install a security system, they look to these digital phones. If you’re currently enjoying the conveniences of VOIP communications like magicJack, you may be wondering if you can integrate your new home security system with it. Will your home alarm work with magicJack? There’s no better answer than one that comes straight from the horse’s mouth. Here’s the answer directly from the manufacturer. The company also says that to make it work, you should plug your alarm system into your magicJack like you would connect any alarm system to a standard telephone jack. If your magicJack is connected to your computer, you should also select the Hi-speed/normal connection speed. If you select Air Card/3G, then the alarm system might not work because the connection may be too slow. Though it can’t be directly recommended, many homeowners have found it possible to use magicJack with their alarm system. However, there are a few things to keep in mind before going forward with this VOIP service. Its functionality depends on the security system you buy. Some users have found that magicJack won’t work for certain systems because it won’t allow data to be transferred over its line. There are also issues with updates or compatibility that don’t allow the alarm system and magicJack to communicate well. The best way to find out if your security system will work with one is to check with the manufacturer before signing the contract. MagicJack only works when your internet connection is up. This means that if there are power outages or interruptions with your internet service, your security system will be down. One way to circumvent this is to have reliable battery backup for your network equipment so your internet can still be running when the power is out. However, this backup can last for just a few hours and isn’t a permanent solution. You’ll eventually need to get the power back on. Landlines, on the other hand, are analog, not digital, and won’t need constant power to stay running. Your computer must be turned on for magicJack and the alarm system to work. Your pc must also be running for your magicJack to dial out. Protect America has the best deals and customer service in the home security industry. Contact us to learn more about our 24-hour monitoring service and other incredible offers. Get a free quote today!